1) (Chiefs of Carbery and Muskerry, co. Cork, a powerful Irish Sept, descended from Cartach, King of Desmond prior to the English invasion, the Chief of which was styled The McCarthy More). Ar. a stag trippant, attired and unguled or. 2) (Earl of Clancare and Viscount Valentia, extinct; Donogh McCarty More, seventh in descent from Cormac More McCarthy, was so created 1556, d. s.p. m.). Ar. a stag trippant gu. attired and unguled or. 3) (Earl of Clancarty and Viscount Muskerry, attainted 1690; Cormac Oge McCarthy, of Blarney, descended from Dermot McCarty, second son of Cormac More McCarthy, was created a viscount, 1628; his son, second viscount, was created an earl, 1658). Same Arms. Crest—A dexter arm in armour ppr. cuffed ar. erect and couped at the wrist, holding in the hand a lizard both also ppr. Supporters—Two angels ppr. vested ar. habited gu. winged or, each holding in the exterior hand a shield, thereon a human head affrontce erased.Motto—Forti et fideli nihil difficile. Anotlur Motto, borne by Dermot McCarthy, Viscount Munkerry—Ex arduis perpetuum nomen. 5) (McCarthy-Reagh, the second Sept in orderof the Clan Cabty, descended from Donel God McCarthy, second son of Donel More McCarthy, The McCarthy More. The Chief of this Sept was known as The McCarthy Reach). Same Arms. Crest—A dexter arm erect, couped at the elbow, vested az. cuffed ar. holding in the hand ppr. a lizard vert. Motto—Fortis ferox et celer. 6) (Springhouse, co. Tipperary; descended from The McCarthy Reach; allowed by Hawkins, Ulster, 1772). (Kilbrittain and Rupella, co. Cork; allowed by Hawkins, Ulster, 1767, to Charles McCarthy, Knt. of St. Louis, Captain in the French Navy, descended from The McCarthy Reagh). Same Arms. Crest—A dexter arm erect, couped at the elbow, vested az. cuffed ar. holding in the hand a lizard both ppr. Motto—Fortis ferox et celer. The surname McCarthy (Irish: Mac Cárthaigh) is an anglicized form of the Gaelic “Mac Carthaigh”, the prefix “Mac” meaning son of, and the last part “Carthach” meaning loving. Carthach was an Irish chieftain who lived in the 11th century. McCarthy descends from the early kings of Ireland and the majority of the of clan still lives in the original homelands of County Cork with the spellings of McCarty, McCarthy, and MacCarthy, these spellings are also dominant in the County Wexford, which is in the Southeast part of Ireland. This clan claims to descend from the King of Munster, Oilioll Olum from the 3rd Century A.D. ‘Carthach, Lord of Eoghannacht was the earliest recorded ancestor he died in 1045. This clan has played an important and heroic part in the history of Ireland and are the leading clans of Munster. The clan itself is divided into several great branches throughout Ireland. These branches are MacCarthy Reagh, MacCarthy of Muskerry, MacCarthy of Duhallow were and are the most important, but there is a central clan of MacCarthy Mor. In North America the most common spelling is McCarthy. Carthach’s son was known as Muireadhach mac Carthaigh (meaning “Muireadhach, son of Carthach”). Such ephemeral patronymics were common at the time. However, when Muireadhach died in 1092 his sons Tadhg and Cormac adopted Mac Carthaigh as an actual surname. Each of these families continued resistance to Norman and English encroachment up to the seventeenth century when, like virtually all the Gaelic aristocracy, they lost almost everything. 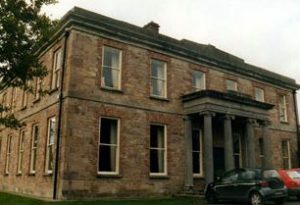 An exception was Macroom Castle, which passed to the White family of Bantry House, descendants of Cormac Láidir Mac Cárthaigh. This was burnt in 1922 and is part of the local golf club today. 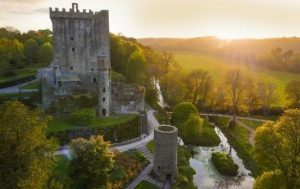 The Muskerry McCarthy’s historical seat is Blarney Castle in County Cork. Legend has it that the Blarney Stone was given as a gift to Cormac MacCarthy, King of Desmond, from king Robert the Bruce of Scotland, who presented the ‘magical’ stone in gratitude for his assistance in the battle of Bannockburn in 1314. The third castle built on the site (the castle which stands to this day) was built by another McCarthy descendant, Dermot McCarthy, in 1446. Dermot was known for his eloquence, hence the Blarney Stone’s reputation for imparting the gift of the gab upon those who kiss it. Justin McCarty, of Carrignavar, Co. Cork. J.P., Barrister-at-Law born 1816 married 1848, Louisa, the daughter of Edward Fitzgerald, Major H.E.I.C.S., and has issue 1) Gerald Falkiner, B.A. Trinity College Dublin, Barrister-at-Law born 1848; d.s.p. Nov. 17, 1890. 2) Frederick Fitzgerald 3) Robert Capel 4) Justin Charles 5) Isabella married March 9, 1885, A.P. 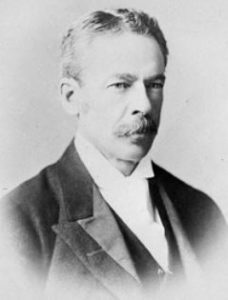 Gould of Bombay. Lineage ~ Few pedigrees in the British Empire can be traced to a more remote or a more exalted source than that of the Celtic House of McCarty. On the arrival of the English in the 12th century, they were styled Kings of Desmond and Cork. From Cormac More, who lived in the beginning of the 12th century, sprang two sons. Daniel,the elder succeeded his father as the MacCarty More; and Diarmid the younger, founded the powerful Houseof Muskerry. The descendant of Daniel was created Earl of Clancare by Queen Elizabeth 1565; but as he died without legitimate male issue, his hounours died with him. His last collateral male representative was Charles MacCarty More, an Officer in the Guards, who died 1770. The dwindled possess ons of this branch of the family became vested in his cousin Herbert of Muckruss. McCarty of Carrignavar is the chief of his name, and representative of the oldest existing branch of the once sovereign House of McCarty. The first who bore the appeltative of McCarty, or son of Catagh, was the grandfather of Diarmod McCarty More, whom the English found in possession of Cork, and who swore fealty, gave hostages, and subjected his kingdom to Henry II. Diarmod was slaim by Theobald Butler, founder of the House of Ormonde in 1186. His successors were Donald Cormac Fionn, Donald Roe, Donald Oge, and Cormac, all of whom were distinguished as McCarty More (or Great), an adjunct continued in this senior branch until 1556, when Donald McCarty More, the 7th in descent from the eldest son of the last mentioned Cormac, was created Earl of Clancare in Kerry on resigning his estates to Queen Elizabeth, from whom he again received the investiture of them, “to hold of the Crown of England in the English manner.” This stock of the McCarty More is extinct for more than a century; but the above Cormac More had a 2nd son, Dermond 1st feudal Lord of Muskerry, and founder of the potent house, who was killed by the O’Mahonys 1367. From his sprung in succession, as Lords of Muskerry, Teige-Cormac died 1374; Teige, 1448; Cormac Laidhir (the Stout) 1494; Cormac Oge Laidhir, who defeated the Earl of Desmond at the battle of Morne Abbey 1521, and died 1536; Teige died 1565; Dermod died 1570. 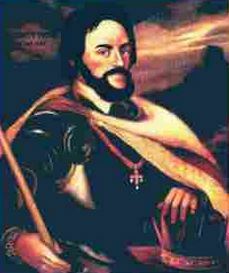 His son, Cormac, Lord of Muskerry, had his residence at the Castle of Blarney and died 1616, leaving two sons 1) Cormac Oge, Lord of Muskerry, the 1st Viscount, as stated by some writers. He died in London 1640, leaving (with a daughter Elena, wife of John Power, ancestor of Frances Power, wife of Richard Trench of Garbally) a son, Donald, 1st Earl of Clancarty, whose male line is extinct. 2) Donald or Daniel. The 2nd son of Cormac, Donald or Daniel McCarty built the Castle of Carrignavar. His son by Katherine his wife a daughter of Stephen Meade, Charles (Cormac) McCarty, of Carrignavar married Catherine the daughter of David Roche, 7th Viscount Fermoy, and was succeeded at his decease by (the son of his son Daniel and Elizabeth Matthews his wife) his grandson, Charles McCarty, of Carrignavar, married Lucy the daughter of Morgan Kavanagh, of Borris but dying without issue 1761, he was succeeded by his nephew, Daniel McCary of Carrignavar (son of Daniel McCarty and Grace Fitzgerald his wife), married 1751 to Eliabeth Geraldina the daughter of Gerald, 24th Lord Kingsale, and had issue 1) Justin, d.s.p. 1775 2) Robert succeeded to his brother 3) Elizabeth married Maurice Uniacke Atkin, of Co. Cork. Mr. McCarty died 1763. His 2nd son, Robert McCarty of Carrignavar married 1784, Jane the daughter of Joseph Capel of Cloghroe and had issue 1) Justin his heir 2) Joseph died unm. 1821 3) Elizabeth married 1811, Joseph Deane Freemand, of Castlecor, Co. Cork. Mr. McCarty died 1823. His son, Justin McCarty of Carrignavar, J.P. born March 19, 1786; married May 29, 1810 Isabella daughter of Caleb Falkiner, eldest son of Sir Riggs Falkiner, 1st Bart., by whom he had surviving issue, 1) Robert born April 14, 1811 married Elizabeth the daughter of John Hyde, of Castle Hyde, Co. Cork and died 1865, having had issue i) Justin ii)Florence iii) Bessy iv) Geraldine v) Marie and vi) Ellinor 2) Justin now of Carrignvar. 3) Frederick Caleb, M.D. married 1st 1845 to Frances Anne the daughter of John Samuel Beamish, of Mount Beamish; and 2nd Jane O’Drisocoll and died leaving by the latter one daughter Isabella de Courey. 4) Joseph (Rev.) Vicar of Wilton, Co. Cork late in the H.E.I.Co.’s Military Service married Mary Frances, the daughter of the Ven. William Thompson, Archdeacon of Cork, by whom he has several children. 5) Lydia married Lowther Forrest, H.E.I.C.S. 6) Jane married 1st Rev. Horace Townsend and 2nd 1845 William Barton Leslie of Court Macsherry, Co. Cork. 7) Isabella married Alexander Ross, H.E.I.C.S. 8) Elizabeth married George Pakenham and is dec. 9) Mary Geraldine married 1st Thomas Charles Morton, Barrister-at-Law and 2nd Jan. 2, 1858 William Brownrigg Elliott grandson of Gilbert 1st Baron Minto and has issue 10) Rose 11) Ellinor. He died 1864. Arms ~ Arg., a stag trippant gu., attired and enguled or. Crest ~ A dexter arm couped below the elbow erect, cloaked with mail arg., and hand holding up a newt, all ppr. Seat ~ Carrignavar, in the vicinity of Cork. John MacCarthy-O’Leary of Coomlagane, Co. Cork, Capt. S. Lancashire Regt. born June 30, 1881. Lineage ~ Dermot McCarthy of Carhue and Dooneen, son (according to the family pedigree) of Donogh MacCarthy of Drishane married previous to 1635, Eleanor the daughter of Darby O’Callaghan, of Kilpeader, Co. Cork and by her was father of Donogh McDermot McCarthy, of Dooneen (mentioned in the will of his uncle, Cahir O’Callaghan dated 1679) married Jane Radley, of Knockrour, Co. Cork and had (with a son, Daniel, the father of Dermot and Justin) a son and successor, Denis McCarthy, of Dooneen born 1677 married Jane the daughter of J. Barrett of Barrett’s Country, and died June 24, 1761 aged 84, leaving issue (with four daughters, one of whom, Joan married Timothy McCarthy, of Lyradane), three sons. 1) Justin of whom hereafter. 2) Denis married Ellen the daughte of Daniel McCarthy and had issue, i)Denis ii) Charles iii) Mary iv) Catherine v) Jane. 3) Alexander, of Knocknagrae, Co. Cork born 1718 an Officer in Lord Clare’s Irish Brigade, in France, who fought in 1745 under the banner of the young Chevalier. He married Mary the daughter of Daniel Duggan, of Mount Infant, Co. Cork and died 1802, aged 84 leaving issue, i) Denis who had with other issue Florence of Crookhaven, father of Thomas of New York, Barrister-at-Law. ii) Florence, Capt. in the H.E.I.C.S. died 1778 iii) Daniel, Major in the Austrian Service died of wounds received at the taking of Dusseldorff by the French. iv) Justin, Capt. in the H.E.I.C.S. died in India 1788. v) Alexander of Cork born March 25, 1771 married Eliza daughter of Stephn Fagan, and by her (who died May 30, 1829) had (with junior issue) a son, Alexander born 1800, Barrister-at-Law M.P. for the city and afterward for the Co. of Cork, High Sheriff 1856; died unmarried vi) Ellen married Denis Mahony of Islandaugher vii) Mary married Martin Lawlor of Killarney viii) Jane married 1st Mr. O’Driscoll and 2nd Capt. Coghlan of Crookhaven. The eldest son, Justin McCarthy, married 1730 Anne the daughter of Charles McCarthy of Lyradane, Co. Cork and had issue (with a daughter Jane), a son, Denis McCarthy, of Glynn, Co. Cork born 1731 married 1st 1770 Anne the daughter of Felix McCarthy of Springhouse, Co. Tipperary, and by her (who died 1780) had issue, 1) Denis of whom presently. 2) Ellen married Albert Stubbeman of Cork 3) Mary married Timothy Mahony of Cork. Mr. McCarthy married 2nd Helen only child of the O’Leary of Mill Street, who d.s.p., having devised the estates to her stepson, Denis McCarthy on condition of his assuming the name of O’Leary. Mr. McCarthy died 1824 and was succeeded by his son, Denis McCarthy O’Leary, of Coomlagane, born 1774; married 1812, Leonora the daughter of John Howley of Richill, Co. Limerick. She died 1832. He died Oct. 1829, leaving issue, 1) John of whom presently 2) Charles born 1817 married 1840 Kate the daughter of Daniel O’Connell of Kilgorey, Co. Clare and died 1893 leaving issue. 3) William 71st Highland L.I. born 181 died unmarried 1844. 4) Alexander died unmarried 1902. 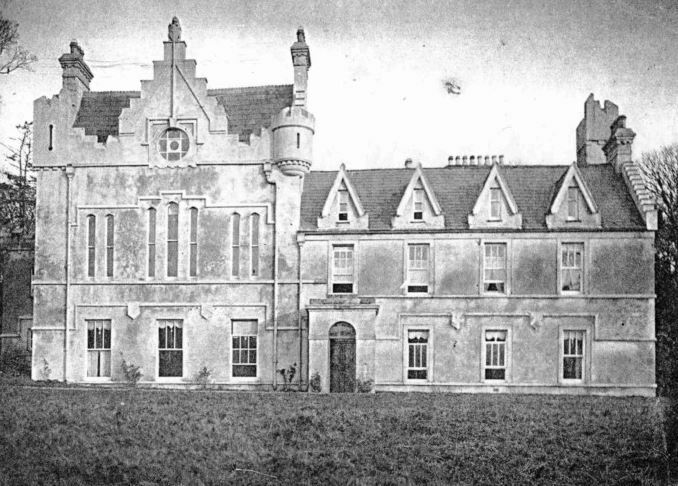 5) Thomas died unmarried 6) Felix Joseph of Montenotte House, Co. Cork, J.P. Cos. Cork and Clare, formerly Resident Magistrate, born March 1829 married February 15, 1855, Maria the daughter of William Hodnett and has issue i) William Serle, Capt. Argentine Navy born Dec. 5, 1855 ii) Felix Denis Francis Lieut-Col. R.E., born Nov. 11, 1857 iii) Charles, Electrical Engineer born Nov. 1860 iv) Augustus, Executive Engineer, P.W.D., India born June 1865. v) Morgan John, Major R.F.A. born Nov. 25, 1867. 7) Emily married 1837, Maurice O’Connell of Kilgorey, Co. Clare, and died 1855 8) Anna died unmarried 1902. The eldest son, John McCarthy-O’Leary of Coomlagane, Co. Cork, J.P. Cos. Cork and Kerry, D.L. Co. Cork, High Sheriff 1854 born Sept. 19, 1814; married Oct. 29, 1839 Jane the eldest daughter of John O’Connell of Grenagh, Co. Kerry, and relict of O’Donoghue of the Glens. She died March 15, 1897. He died 1896 having had issue, 1) John Arthur, late of the 34th Regt., born August 3, 1840; married March 4, 1869, at Brussels, La Cometesse Anna de Villegas de St. Pierre Jette and died 1870 leaving issue, John, India Forest Service born 1869. Madeline and Felicia. 2) Denis Charles, J.P. Barrister-at-Law born Oct. 1841 married 1874, Frances the daughter of John P. Rowe of Victoria; and died at Melbourne July 1886. 3) William late of Coomlagane 4) Maurice Charles born March 1854, Barrister, King’s Inns, 1881. 5) Elizabeth Mary 6) Leonora Mary died 1859. 7) Amy Jane died March 19, 1873 8) Lucinda, deceased. The 3rd son, Lieut-Col. William MacCarthy-O’Leary of Coomlagane, Co. Cork, J.P. , Lieut-Col. 1st Batt. S. Lancashire Regt., born Jan. 6, 1849; married July 2, 1878, Mary the daughter of Heffernan Considine, D.L., of Derk, Co. Limerick. He was killed in action at Pieter’s Hill, S. Africa, Feb, 27, 1900, leaving issue, 1) John, now of Coomlagane. 2) Heffernan William Denis, Lieut. Royal Irish Fusiliers, born 2 Aug. 1885. 3) William born April 9, 1894. 4) Mary Helen 5) Amy. Seat~Coomlagane, near Millstreet, Co. Cork. Daniel McCarthy, retired farmer, and at present a resident of Charleston, was born on the other side of the Atlantic, in Ireland in 1829. His parents, Patrick and Catherine (Shay) McCarthy, were natives of the same country, where they spent their entire lives. Patrick McCarthy was a farmer in easy circumstances, and the parental household included eight children, of whom but three are now living, namely, Cornelius a resident of Mattoon; Daniel of this sketch, and Jeremiah also a resident of Charleston. Daniel attended school until fourteen years old during the winter season, while in summer his services were utilized on the farm. After reaching his majority, not being satisfied with his prospects in his native land, he boarded a sailing-vessel at Liverpool, and after a voyage of over five weeks, landed at New Orleans, Dec. 20, 1851. He remained in the Crescent City about six weeks, waiting to be joined by his brother, who had preceded him to America, and was employed on a steamboat on the Mississippi. After they met, both proceeded up the river to Cincinnati, whence they made their way to Chillicothe, Ohio, working on the railroad, at which they continued until the fall of that year, and then returned to Cincinnati, where, however, they remained but a short time, going to Terre Haute, Ind., where they were employed first on the railroad and afterward in the Park House. In the spring of 1854, Mr. McCarthy, accompanied by his brother, came to Paris, Edgar County, and for five months thereafter they were employed on the I. & St. L.R.R. Afterward they engaged on a farm east of the city of Charleston, and the following year were similarly employed near Mattoon and Charleston, in the latter a year. Mr. McCarthy although having no capital but his strong arms and his resolute will, decided to establish a home of his own, and was accordingly married in 1856 to Miss Mary Downey a native of his own country, and then a resident of Terre Haute, Ind. Mrs. McCarthy was the daughter of Daniel and Mary (O’Connor) Downey, and came with her parents to this country when a young woman. Mr. and Mrs. McCarthy became the twelve children, eight now living, namely, Michael, Jeremiah, James who married Miss Ella Kinney, Cornelius, Daniel, Katie, William and Ella. 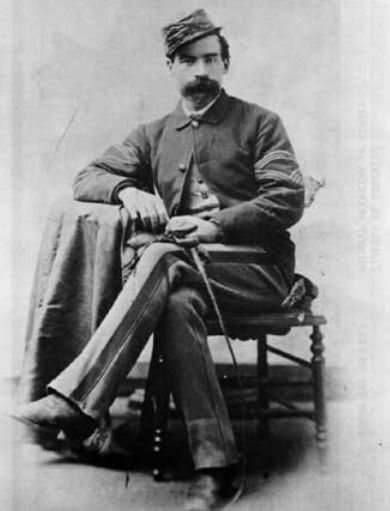 Daniel McCarthy after his marriage, continued to work on the railroad, in the meantime living economically and saving what he could of his limited earnings. In 1858, he was enabled to obtain possession of a moderately sized farm near Seven Hickory Township, on which he remained four years with ordinary success. Soon afterward he purchased the tract of land in Seven Hickory Township, which in now included in his present farm. This land was unimproved when it came into his possession, and for several years he was industriously engaged in its cultivation, and in instituting those conveniences and improvements required by the modern and progressive farmer. He invested his surplus capital in more land, until he became the owner of 320 acres, upon which expended $2,000 in tiling alone. Upon deciding to abandon the farm, he placed it in the hands of tenants and moved to a fine brick house on Washington Street, in Charleston, which he had purchased and which stand about two blocks from the county courthouse. Here, amid the society of his children and friends, he is passing his declining years, enjoying the reward of his early industry, and the respect of all who know him. While in Hickory Township he served as School Trustee and Superintendent of road work, and since becoming a naturalized citizen, has uniformly given his support to the Democratic party. He was born and reared in the Catholic Church, and with his wife still adheres to his early faith. Lansh laidir a-busgh – Strong Lamb of the Buff. McCARTY. Virginia. Dennis McCarty, Norfolk, 1675. Argent, a stag trippant gules, attired and unguled or. CREST—A dexter arm in armor ppr. cuffed argent erect and couped at the wrist, holding in the hand a lizard, both also ppr. MOTTO—Forti et fideli nil difficile. MacCARTHY-TENISON MacCarthy-Tenison, C, of Brisbane, Queensland, 1891, Vol. LXVI, fol. 131. CARTHEY, Visc‘ of Muskery, Charles MacCarthy, 21 Sept. 1639, by T. Preston,Ulster K. of A., arms confirmed and supporters granted. Harl. MS. 1470,2; Grants II., 678. McCARTHY (Chiefs of Carbery and Muskerry, Co. Cork, a powerful Irish Sept, descended from Cartach, King of Desmond prior to the English invasion, the Chief of which was styled THE McCARTHY MORE). Ar. a stag trippant, attired and unguled or. McCARTHY (Earl of Clancare and Viscount Valentia, extinct; DONOGE McCARTY MORE, seventh in descent from CORMAC MORE McCARTHY, was so created 1556, d.s.p.m.). Ar. a stag trippant gu. attired and unguled or. 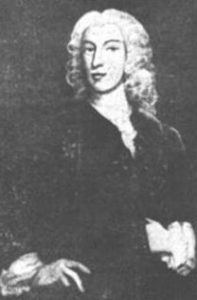 McCARTHY (Earl of Clancarly and Viscount Muskerry, attained 1690; CORMAC OGE McCARTHY, of Blarney, descended from DERMOT McCARTY, second son of CORMAC MORE McCARTHY, was created a viscount, 1628; his son second viscount, was created an earl, 1658). Same Arms. Crest – A dexter arm in armour ppr. cuffed ar. erect and couped at the wrist, holding the hand a lizard both also ppr. Supporters- Two angels ppr. vested ar. habited gu. winged or, each holding in the exterior hand a shield, thereon a human head affrontee erased. Motto-Forti et fideli nihil difficile. Another motto, borne by DERMOT McCARTHY, Viscount Muskerry -. McCARTHY (Carrignavar, Co. Cork; the present male representative of the CLAN CARTHY descended from DONEL McCARTHY, who built Carrignavar, brother of CORMAC OGE McCARTHY, father of the first Viscount Muskerry). Same Arms. Crest-A dexter arm in mail ar. holding in the hand a lizard both ppr. McCARTHY (McCarthy-Reagh, the second Sept in order of the CLAN CARTY, descended from DONEL GOD McCARTHY, second son of DONEL MORE McCARTHY, THE McCARTHY MORE. 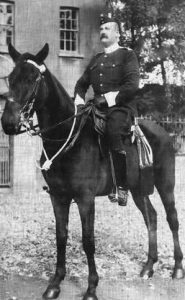 The chief of this Sept was known as THE McCARTHY REAGH). Same Arms. Crest- A dexter arm erect, couped at the elbow, vested az. cuffed ar. holding in the hand ppr. a lizard vert. Motto-Fortis feox et celer. McCARTHY (Springhouse, Co. Tipperary; descended from THE McCARTHY REAGH; allowed by Hawkins, Ulster, 1772). Same Arms. Crest-A dexter arm erect, couped at the elbow, vested az. cuffed ar. holding in the hand a lizard both ppr. Motto- Fortis ferox et celer. McCARTHY (Kilbrittain and Rupella, Co. Cork; allowed by Hawkins, Ulster, 1767, to CHARLES McCARTHY, Knight of St. Louis, Captain in the French Navy, descended from THE McCARTHY REAGH). Same Arms and Crest. MacCARTHY GLAS (Gleannacroim, Co. Cork, “the Slught Ferlimy” or race of Felim, descended from CORMAC DONN, younger son of DONAL CAOMH, Chief of Carberry, A.D. 1311; of the family MacCARTHY GLAS was the late SIR CHARLES MACCARTHY, Governor of Ceylon, and to it belongs the present FLORENCE MacCARTHY, Esq. of West Down House, North Devon). Same Arms & Crest. I am looking for information for Thomas McCarthy from New Brunswick, Canada, He married Katherine McKone and had 3 children. He died in Oshkosh WI.